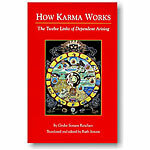 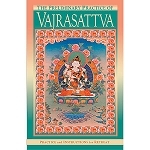 This booklet contains teachings by Lama Zopa Rinpoche that encourage us to think about karma in daily life followed by descriptions of specific life experiences that can be traced to related karmic actions of the past. 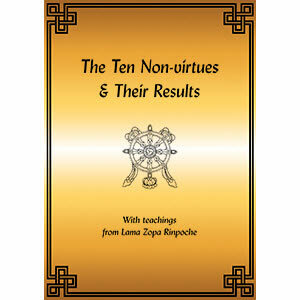 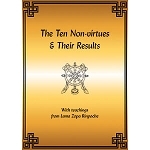 Finally, you will find a comprehensive outline of the ten non-virtues and their results compiled from various lam-rim texts by Ven. 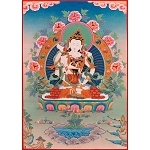 Sangye Khadro.